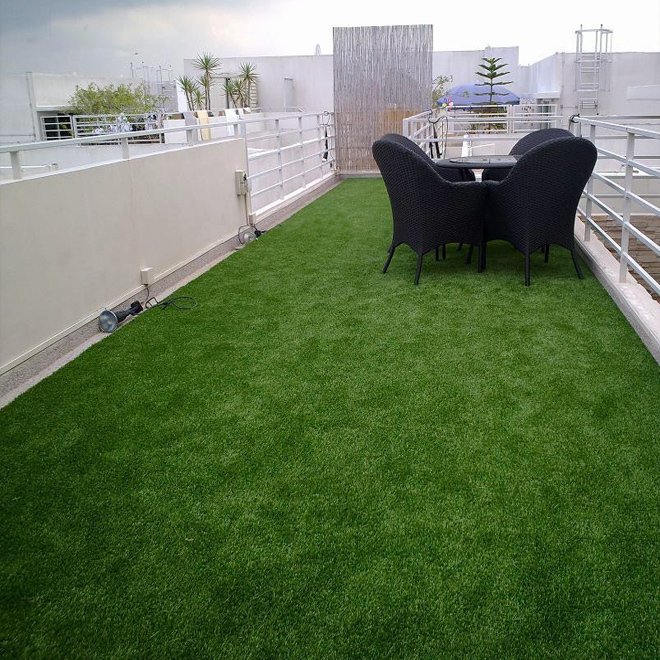 Artificial grass is suitable to install almost anywhere – from garden lawns, schools, commercial space, golf and putting greens – it is long lasting and durable and will withstand pets, weather and children! Our top-of-the-range artificial grass is easy to install and easy to look after. The benefits are notable – no mowing, no mud, no weeding, always green and ready to play on, walk on or have fun on.